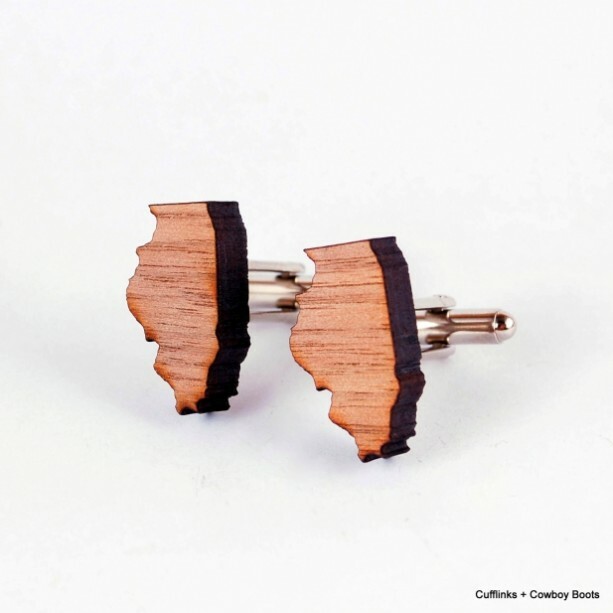 Show your love for your state with these Walnut Veneer cufflinks. Featured on Fab.com! 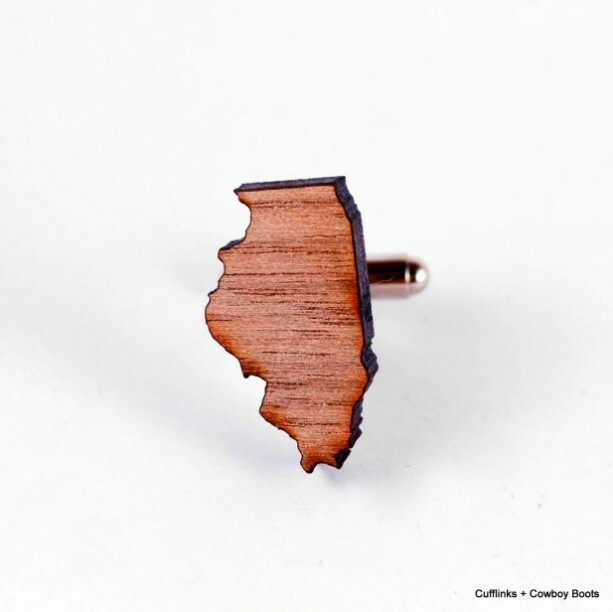 This pair of links is cut in the shape of the state of Illinois. 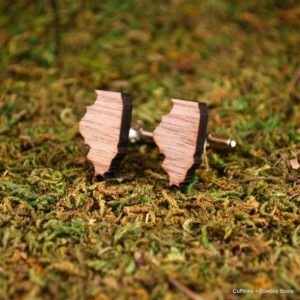 This pair of cufflinks is in Walnut Veneer Ã¢â¬â please message me for special orders! or Email us at cufflinksncowboyboots@gmail.com. Great fathers day gift idea! Wear something unique, and also sustainable! 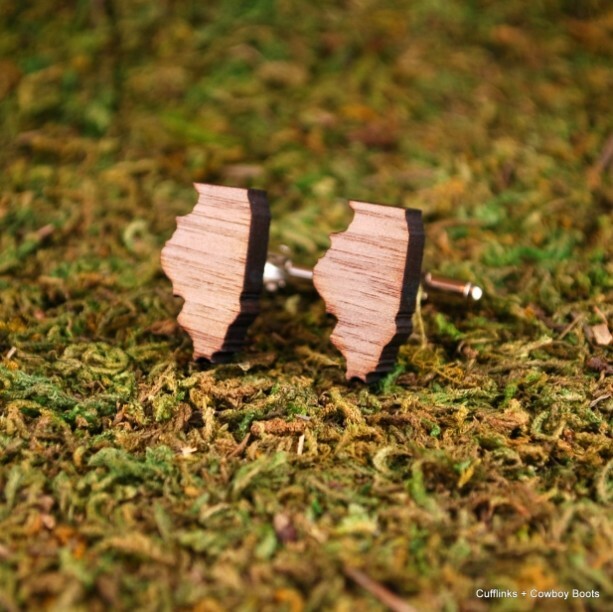 This set of cufflinks is made and cut in California. Includes one pair of cufflinks, 2 cuffs. Please let me know if you would like a set of custom matching links as groomsman gifts - I can make as many pairs as you need with about two weeks notice! Please contact me for wholesale orders. We accept custom orders, please message us for details!